Anna-Antonina Gottret is an associate at Kellerhals Carrard. 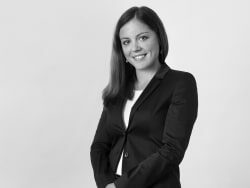 Her practice focuses on national and international competition and antitrust law, intellectual property law, corporate law as well as general commercial and contract law. She also advises clients on matters of EU law. She specialises in cross-border transactions involving eastern European countries, especially Poland. She also regularly publishes in academic and business journals in her major fields.